The Planet Waves annual edition, now in its 16th year, is a beautiful tradition of offering sound astrological guidance. I’ve been creating the Planet Waves annual since before most people had Internet access. Year after year, I’ve conducted impeccable research on the coming four seasons. In this world, having good information is a way of feeling like you belong somewhere. Relevant knowledge, when you need it, makes life easier. And someone offering you good information reminds you that they care enough to provide you with a hint, an idea, or when called for, a word of caution. Even better, a word of encouragement. One thing that’s clear about our lives today is that we are responsible for knowing so much — even as the world gets less predictable, and information is relevant for less time. Our moment of history is the perfect time and place for astrology, which can embrace so much of who you are, and even help you see around the bend. The Planet Waves annual edition, now in its 16th year, is a beautiful tradition of offering sound astrological guidance. 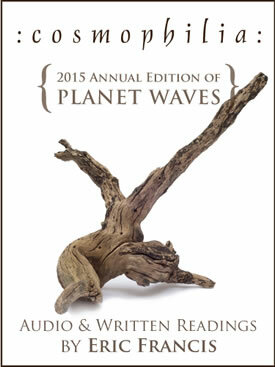 I’ve been creating the Planet Waves annual since before most people had Internet access. Year after year, I’ve conducted impeccable research on the coming four seasons. Then I’ve prepared readings designed to provide you with the ideas, guidance and encouragement to make the most out of your precious time and energy. 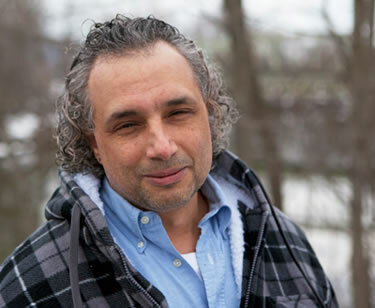 One thing you get with your Planet Waves annual reading is the benefit of experience. Lots and lots of experience, which is the result of astrology practiced every single day, year upon year. In each annual edition, I cover the 12 Sun signs and rising signs in both audio and written format. The spoken word and the written word work differently in the brain, and I want to use both approaches. The readings are researched for months, sometimes for years. I use the most advanced astrological techniques and discoveries, in a method that is built on solid knowledge of early astrological tradition. Then I translate my research into plain language that you rarely get from an astrology reading. You don’t need to be an expert or an astrology student to follow me — you just need to be you. I speak about your life in human terms. Peering into the cosmic mirror, I describe the themes of your relationships, and of your inner climate and how these relate to your growth process. This is not predictive astrology — it’s creative astrology, astrology to feed your soul. My aim is to provide encouragement and motivation. My aim is to offer you the feeling that someone knows, and someone cares — enough to get it right. That, more than anything, is the reminder that you belong here. You were born at the right time, and you have amazing opportunities right now. You can still get your 2015 reading for the original price of $77 for all 12 signs and rising signs. That’s the cost of about three signs purchased separately. The signs work together, and once you’ve listened to one, you’ll want to listen to them all. Many people refer back to their readings all year long. They check out the readings of children, significant others, and special subject areas like career and relationships. Today I would like to invite you into the past two years’ readings at no cost — the 2014 edition, called The Mars Effect, and the 2013 edition, called Listen. Even if you’ve encountered them both before, I think you’ll find it helpful and encouraging to revisit them. You’ll also find that both of these readings are still relevant today — I always aim for a long shelf life for my astrological work, at least two or three years into the future and sometimes longer. But I am focused, most of all, on what is relevant right now — and how to create the future you want. Next week we’ll be increasing the pre-order price to $97 for all 12 signs and rising signs, then soon after it will go up to $117. So take the opportunity now to take part in the great tradition of getting something of value for the best possible price — and the great tradition of a real astrological reading at the beginning of the year. Every day when I sit down to do this work, drawing up my charts by hand and sparing no effort, energy or investment of time and knowledge, I’m reminded that it’s an honor and a privilege to do good astrology for you. I am grateful that you have the insight to take advantage of these readings. Because you do, I’m able to keep doing better work, which does that beautiful thing of serving the greatest good for everyone. 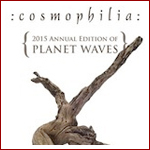 PS — Cosmophilia makes an amazing gift, and you can give that gift for the lowest price today. Remember, though — the readings come out the second week of January, after the holidays and just when we need to be reminded that the year is still new.